One of the most satisfying outcomes of a Zelený Les artist residency is the spirit of collaborative engagement that supports the realization of new work. Janette Chien and Wayne Kleppe, Philadelphia-based artists, came to our June 2015 residency as a ready-made collaborating unit. Under the moniker re:mark, the artist duo has developed performative drawing actions examining their physical and verbal communication, enacted under a set of pre-determined constraints. All that exists of their actions is the resulting image- and time-based documentation. Of the numerous site-responsive actions conceived by the couple, one was inspired by Suminagashi (墨 流 し) or “floating ink” – a process of marbling plain paper. Putting sumi and India ink in conversation with the flowing water current of Kidd Brook, they produced a series of drawings displaying the exquisite depth and beauty of the world’s most captivating landscapes, both real and imagined. The re:mark artists toiled for 8 hours braiding parallel sides of a path oriented to the homestead valley (Meditations for Moses); considered notions of trust and abandonment in the woods (The Contrition of Sebastian) and drew on the ground of the hidden field (Moving Lines). They even created additional site-specific work not seen here. 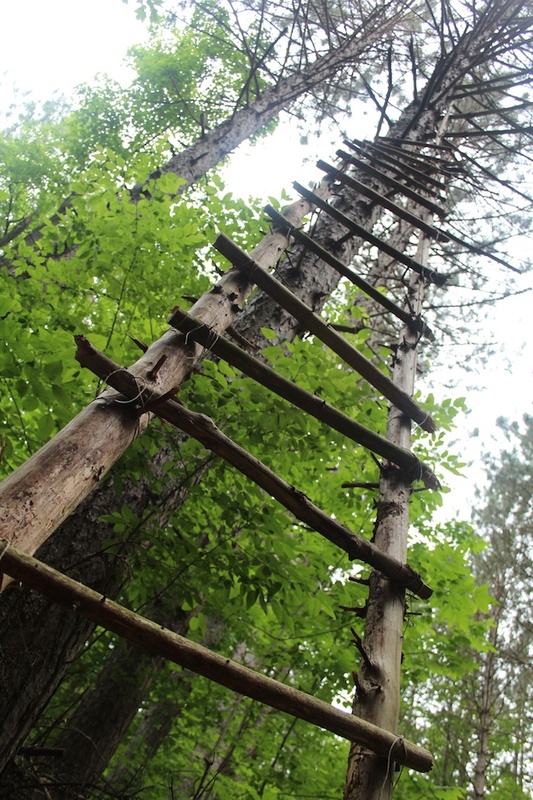 We did have a shot at an ephemeral ladder structure they constructed in the woods (at a juncture along Willy’s Way), a piece they claim was inspired by notions of ascension (they chose to dismantle it before leaving Zelený Les for safety reasons). View full documentation of re:mark residency works here. 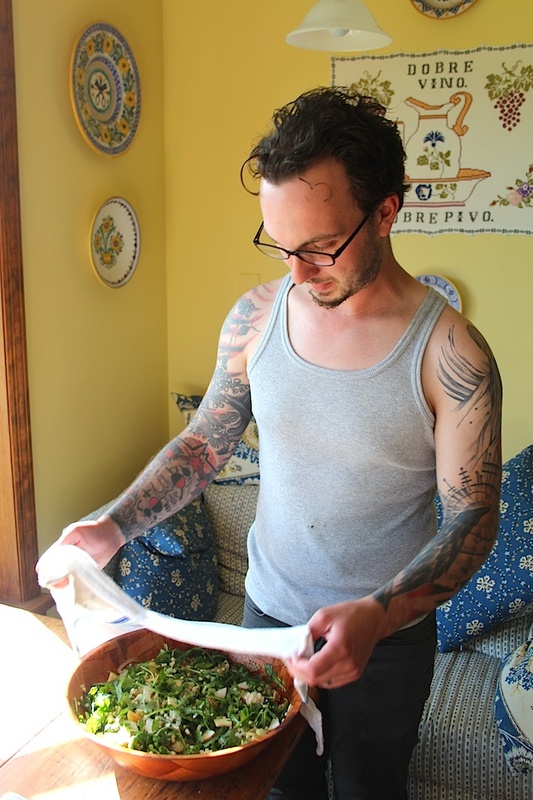 Soon after his residency at Zelený Les, Wayne Kleppe was awarded the Scholarship for Advanced Studies in Book Arts by the NYC-based Center for Book Arts in recognition of his demonstrated commitment to artistic endeavors in the book arts. As a scholar, Wayne is awarded a cash stipend, a materials budget, 24-hour access to the Center’s printing and binding facilities, and a tuition waiver for the Center’s courses for a full year. He’ll be required to complete an artist project by the end of the scholarship period, with an exhibition and public presentation in Fall 2016. Artist Spotlight celebrates the creative work of resident artists at Zelený Les. This entry was posted in Blog post by Catherine Tutter, Residency artists and tagged 2015 Zelený Les Artist Residency, Center for Book Arts, Dennis Oppenheim, drawing, Janette Chien, Performance, re:mark, Wayne Kleppe on November 30, 2015 by Catherine Tutter.